Eye On The World: Pakistan: Headmaster shot dead for marking Student down for skipping school, uses blasphemy as an excuse. Pakistan: Headmaster shot dead for marking Student down for skipping school, uses blasphemy as an excuse. 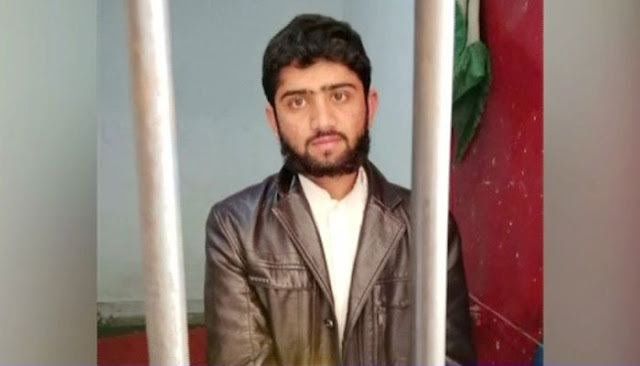 (Charsadda) 18 year old Faheem Ashraf – a second-year student at New Islamia Public College Shabqadar –Killed college principal Sareer Ahmed after the two argued over the student's absence from college to attend a political protest in November. It appears Ashraf wasn’t happy for getting marked absent for taking 3 days off in which to attend the violent anti-government protest last year where over 200 people were injured so he shot Sareer Ahmed 6 times. Ashraf was arrested at the crime scene and his weapon seized by the police, a video of the arrest shows the murderer justifying the murder by saying he believed the college principal had committed blasphemy. Which is strange as Sareer Ahmed was not only a practising Muslim, a Hafiz-e-Quran, (Somebody who had recited the koran from memory) he also held a Master’s degree in Islamic Studies from the University of Peshawar. He is survived by his wife, three daughters, and a son. 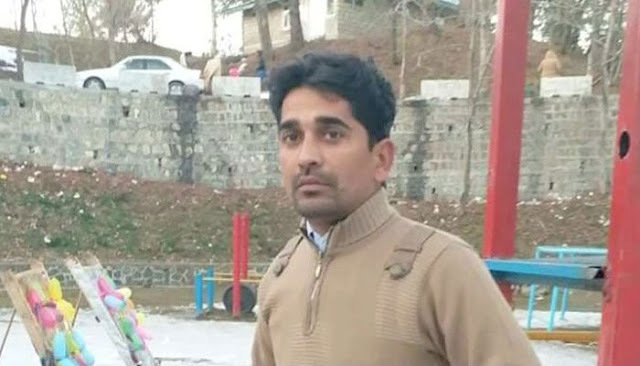 Faheem Ashraf: "I have been taught... to kill... to not be afraid. Don't be afraid of disrespecting the one who" commits blasphemy, "You can kill me,"
Isn’t it great how in Islamic countries, you can excuse killing your head teacher for marking you down as playing hooky by claiming it's blasphemy.